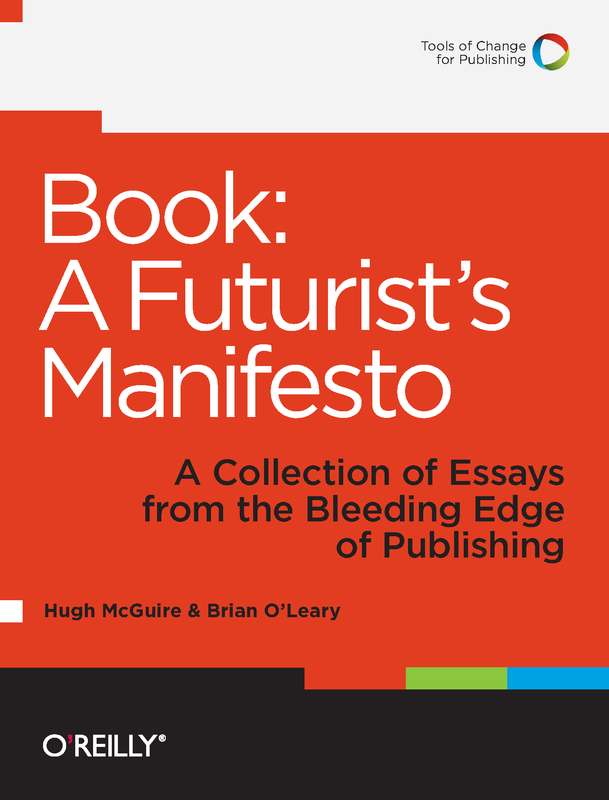 We (Aaron Miller and Travis Alber) just contributed a chapter to Book: A Futurist’s Manifesto – Collections from the Bleeding Edge of Publishing. The digital book is being released by O’Reilly in three parts. Our chapter, which appears in Part 2, comes out today! You can buy a digital copy now, and get an update when the rest is released. You can also check it out and discuss the book in-progress on Hugh McGuire’s site, Pressbooks, right now. The entire book (including a print version) comes out later this Spring. Our chapter “Above the Silos, Reading in the Age of Mechanical Barriers” is part philosophy, part social reading, part internet history, and part technology. We think it’s a good blend of what we built, what we learned about social reading, and where it’s headed next. Here’s an excerpt from the chapter introduction. …We think there is a very simple but profound answer to the question of why people read books: people read books to make connections. This can be considered at a cognitive level, through simple, repetitive pattern recognition, or at a conceptual, spiritual level. Either way, the basic work of the reader’s mind is to make connections, and the basic mode of higher thought is to exist both in and out of the physical world for a bit, drawing lines between the two. In any written work, there is a cognitive process of connection-making which makes up the act of reading itself: glyphs form letters, letters connect into words, words into phrases and sentences, sentences into paragraphs, paragraphs into a sense of semantic completion. As we read, we progress through linear rhythms of pattern recognition even as we gain higher understanding of an author’s argument, a character’s motivation, or a historical event. By connecting very small patterns together into larger ones, we connect concepts back to the real world around us, to real people and places. The pattern-recognition part can be thought of as a linear progression, necessary grunt-work for the brain to get at the concepts. However, the tangential connections we make are the ones that matter to us — and they’re the reward which is so hard to get to for those who have trouble with the mechanical work of processing the words and sentences. We may even make many unintended connections along the way, and sometimes it’s those surprises that keep us going. From a description of a road on a summer day, we might recall a bike ride from our youth. From a listing of facts about milk, we might be startled by a sudden craving for ice cream. Perhaps during an introspective passage about spirituality, we look up from the page to see our future spouse for the first time. A book and its patterns, and the place we sit reading it, and the person we fall in love with, can become forever tied together. It is at this level that reading interests and addicts us. We think of it as a solitary act, but it’s often the connections we make back to the real world that make it so rewarding. These connections are sometimes even more interesting when made across larger gulfs. Fake worlds, or extinct ones, can interest us more than the one we live in. We’re fascinated by fictional characters when they mimic or reflect real personalities. Even the most outlandish science fiction can be interesting in this way, because of the allegory, or the grand sense of scale that crisply dramatizes contemporary issues, or the parallels we can make between even the most alien worlds and our own. It’s these very large, meaningful connections that are the ultimate goal of reading. It’s the understanding we gain, or at least feel we gain, about the world we live in, and the people we share it with, that are the deepest connections we make when we read. In that sense, it is entirely social. We’ve been doing the ebook thing for five years now. A veritable flash-in-the-pan for the publishing world. But like dog years, web years fly by at an accelerated rate. Five years is a lifetime in web-years. Five years should really get you fifteen years of street cred. We’ve learned a lot. About building communities. Running destination sites. Integrating with publishing workflows. Reaching out to third party systems. Pulling content in from other sites. Creating online reading systems. Making people happy. This has all been a valuable, powerful, (sometimes painful) learning experience. But when we sat down and thought about what we really know, we know the most about Social, with a capital “S.” We know what people will and won’t use (which is not to say that we can’t be surprised). We know how baggage from other web communities figures in to people’s expectations for a digital reading system. We know what types of behaviors people bring with them from the print world, and what they really miss when they switch back to it from digital. We know about user experience, and the compromises that sometimes need to made of it in terms of schedule and technology. We know all about user-funnels, stickiness, and a whole host of other concepts that figure prominently into the digital publishing world, whether or not publishers realize it. But when it comes right down to it, we decided we should focus on what we really know. What we’re passionate about. BookGlutton has slowly been moving over to using the ReadSocial API, and to-date stands as its first and only official tester. All of the live chat in the book rooms is now being served up via a service from ReadSocial, which is hosted separately on Amazon’s EC2 service. 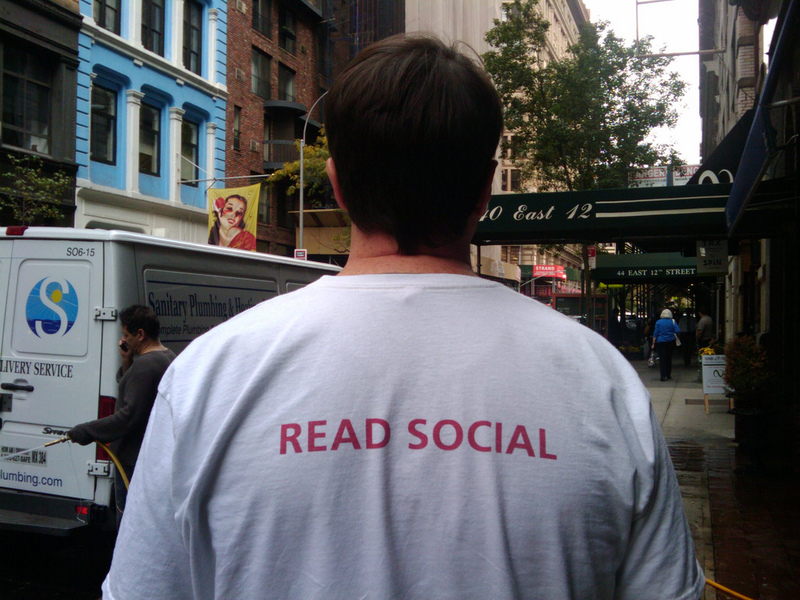 Eventually that and other services will be available to ReadSocial’s other partners. But for now, ReadSocial has itself launched another proof-of-concept regarding the many interesting connections they’re making between readers of digital books, and the books themselves. It’s called Readum, and it launched this week. It ties together the largest (and most controversial) cloud-based publishing and reading system, Google Editions, with the largest (and most active) social network, Facebook. Why couldn’t this be done before? One reason is that Google disables the web browser’s normal ability to select short snippets of text in their web-based e-books, so you couldn’t even copy a passage and share it manually if you wanted to. Secondly, Facebook treats books in a very generic way, which is to say they lump them in with your “Entertainment” interests, making it hard for users to recommend their “liked” books to each other. Now you can jump into the Google edition of any of your “liked” books on Facebook, and share a comment from it back to your feed.